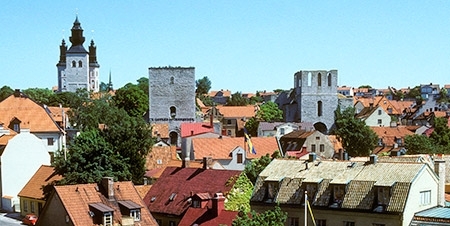 The conference will be held at Uppsala University Campus Gotland, which is located on the island of Gotland in the World Heritage city of Visby, close to Stockholm and the Baltic Sea countries. A unique and stimulating learning environment is awaiting you in the heart of the Baltic Sea region. To learn more about Uppsala University Campus Gotland read here. As the conference is on an island the means of getting there are limited to two primary options, airplane or ferry. 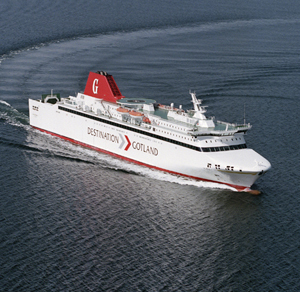 The ferry can be reached by taking a bus or a train from Stockholm's central station to the Nynäshamn port. Tickets for the bus can be booked in combination with the tickets for the ferry here. A train ticket can be booked here. The bus/ferry combination will take approximately 5 hours total, with the ferry taking three and a half hours and the bus taking about an hour. Taking the train can add up to an hour in waiting depending on how it is booked. Once you arrive at the port in Visby it is a short walk to Campus Gotland and the above noted hotels. Flights to the Gotland airport primarily leave from the Bromma airport in Stockholm and the Arlanda airport. If you are flying internationally you will likely prefer to book your flight from the Arlanda airport. The flights take less than an hour. You can book a taxi from the airport by calling +46 0498-200 200 or by visiting their website and making a booking (between 06.00-20.00). If you feel you need a bit of a walk the airport is only located a few kilometers (4-5 km) from Visby and Campus Gotland. The walking paths between the airport and town are paved and well maintained. If you have any travel questions please send an email to us.